I’m often mystified in my educational forex articles why so many traders struggle to make consistent money out of forex trading. The answer has more to do with what they don’t know than what they do know. 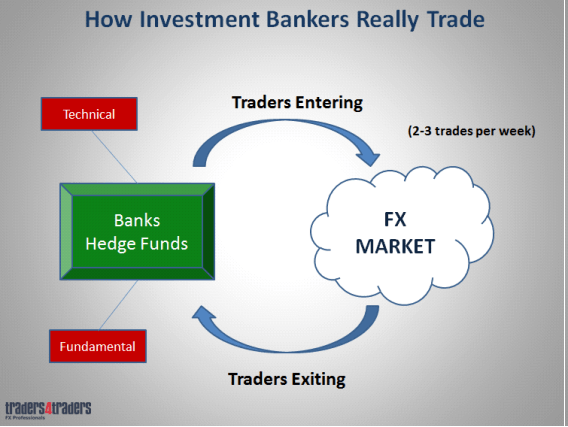 After working in investment banks for 20 years many of which were as a Chief trader its second knowledge how to extract cash out of the market. It all comes down to understanding how the traders at the banks execute and make trading decisions. They actually only perform 2-3 trades a week for their own trading account. These trades are the ones they are judged on at the end of the year to see whether they deserve an additional bonus or not. So as you can see traders at the banks don’t sit there all day trading randomly ‘scalping’ trying to make their budgets. They are extremely methodical in their approach and make trading decisions when everything lines up, technically and fundamentally. That’s what you need to know! As far as technical analysis goes it is extremely simple. I am often dumbfounded by our client’s charts when they first come to us. They are often littered with mathematical indicators which not only have significant 3-4 hour time lags but also often contradict each other. 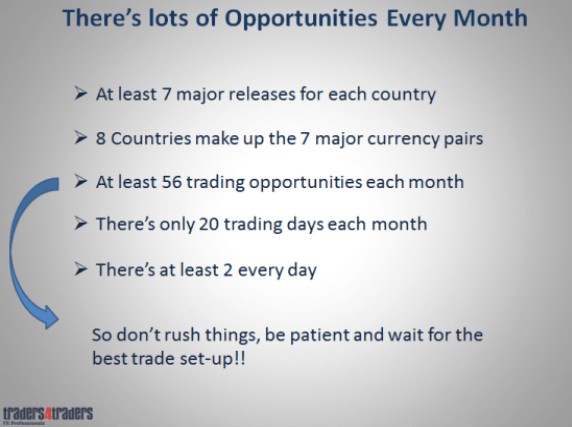 Trading with these indicators and this approach is the quickest way to rip through your trading capital. Bank trader’s charts look nothing like this. In fact they are completely the opposite. All they want to know is where the key critical levels. Don’t forget these indicators were developed to try and predict where the market is going. 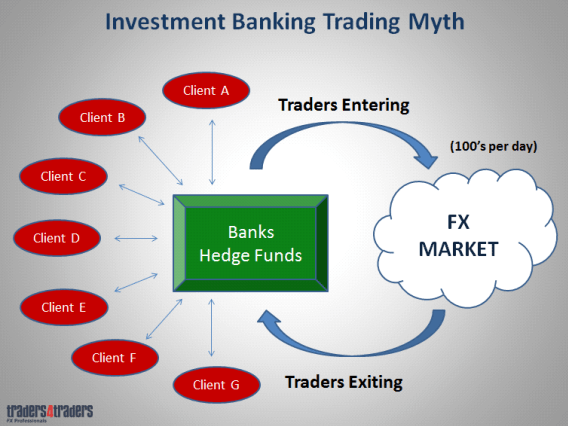 The bank traders are the market. If you understand how they trade then you don’t need any indicators. They make split second decisions based on key technical and fundamental changes. 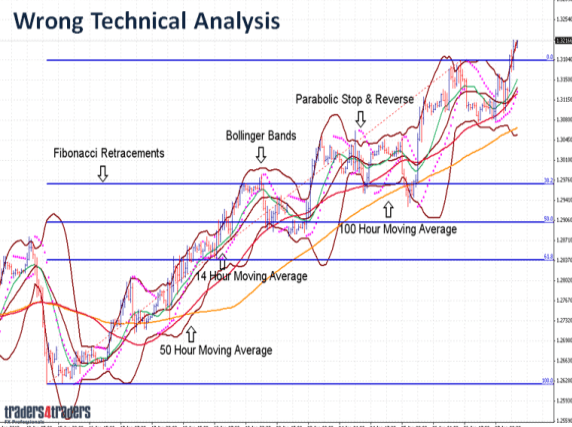 Understanding their technical analysis is the first step to becoming a successful trader. You’ll be trading with the market not against it. What it all comes down to is simple support and resistance. No clutter, nothing to alter their trading decisions. Simple, effective and highlighting the key levels. I’m not going to go into the ins and outs of where they actually enter the market, but let me say this: it’s not where you think. 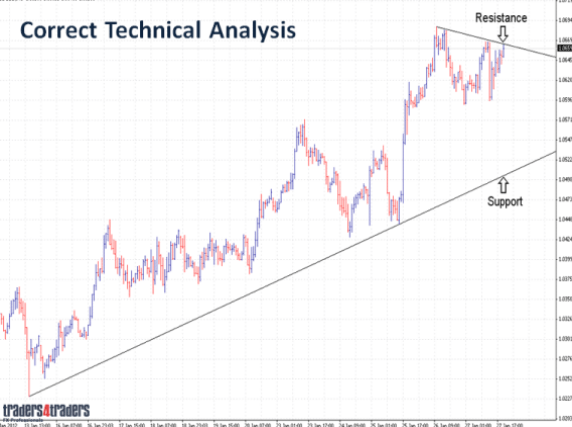 The trendlines are simply there to indicate key support and resistance. Entering the market is another discussion all together. The key aspect to their trading decisions is derived from the economic fundamentals. The fundamental backdrop of the market consists of three major areas and that’s why it’s hard to pin point currency direction sometimes. When you have the political situation countering the central bank announcements currency direction is somewhat disjointed. But when there are no political issues and formulated central bank policy acting in accordance with the economic data, that’s when we get pure currency direction and the big trends emerge. This is what bank traders wait for. The fundamental aspect of the market is extremely complex and it can take years to master them. This is a major area we concentrate on during our two day workshop to ensure traders have a complete understanding of each area. If you understand them you are set up for long term success as this is where currency direction comes from. There is a lot of money to be made from trading the economic data releases. The key to trading the releases is twofold. First, having an excellent understanding of the fundamentals and how the various releases impact the market. Secondly, knowing how to execute the trades with precision and without hesitation. If you can get a control of this aspect of trading and have the confidence to trade the events then you’re truly set up to make huge capital advances. After all it is these economic releases which really direct the currencies. These are the same economic releases that central banks formulate policy around. So by following the releases and trading them you not only know what’s going on with regards central bank policy but you’ll also be building your capital at the same time. Now to be truly successful you need an extremely comprehensive capital management system that not only protects you during periods of uncertainty but also pushes you forward to experience capital expansion. This is your entire business plan so it’s important you get this down pat first. Our stringent capital management system perfectly encompasses your risk to rewards ratios, capital controls as well as our trade plan – entry and exits. This way when you’re trading, all your concerned about is finding entry levels. Having such a system in place will also alleviate the stresses of trading and allow you to go about your day without spending endless hours monitoring the market. I can tell you most traders at banks spend most of the day wandering around the dealing room chatting to other traders or going to lunches with brokers. Rarely are they in front of the computer for more than a few hours. You should be taking the same approach. If you understand the technical and fundamental aspects of the market and have a comprehensive professional capital management system then you can. From here it just takes a simple understanding of the key strategies to apply and where to apply them and away you go. Trust me you will experience more capital growth then you ever have before if you know how the bank traders trade. Many traders have tried to replicate their methods and I’ve seen numerous books on “how to beat the bankers”. But the point is you don’t want to be beating them but joining them. That way you will be trading with the market not against it. So to conclude let me say this: There are no miraculous secrets to trading forex. There are no special indicators or robots that can mimic the dynamic forex market. You simply need to understand how the major players (bankers) trade and analyse the market. If you get these aspects right then your well on the way to success.